The PNG Hunters continued their surge in their quest to secure a spot in the finals after putting away Norths Devils 32-10 in front of a sell-out crowd at the Lae Rugby League Grounds this afternoon. More than 6000 people poured in to watch the Country Week Round 19 clash and they weren't disappointed with the home side running in five tries to two. 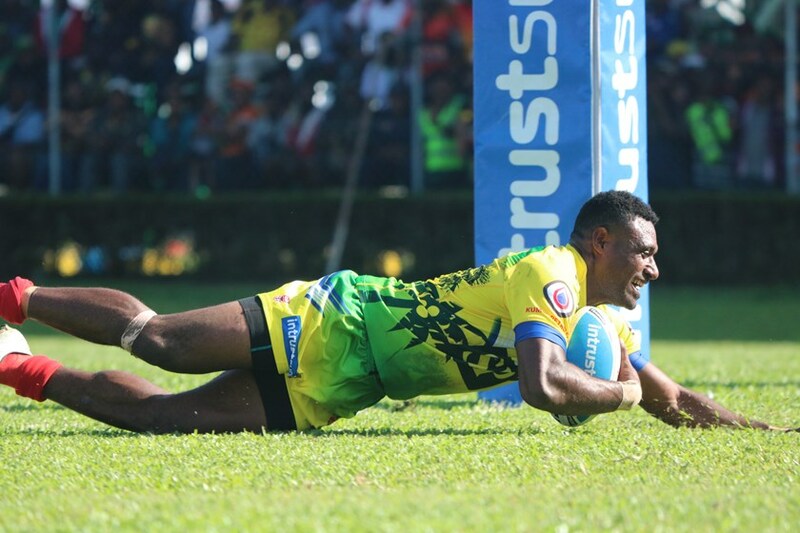 The first points of the match came after four minutes with captain and five-eighth, Ase Boas booting the Hunters in front from a penalty conversion. With the wind in their sails, the Hunters struck three times in the space of 12 minutes, the first through fullback and man of the match Edene Gebbie who picked up a loose ball and scooted 60 metres to score. Boas had a hand in the next two tries, putting through a grubber for a charging Moses Meninga to pounce on and then later sending in a flying Gebbie for his second of the match. The visitors regrouped and hit back minutes out from the break after Jack Miers crossed the line to put the halftime score at 20-6. The Devils further reduced the deficit early in the second half after sending in Luke Pollock for their second four pointer to put them back in the contest. But that would be all from the Devils as the Hunters muscled up in defence determined not to leak any more points. The humid conditions of Lae finally took its toll on the Devils and the game was soon put beyond doubt courtesy of a Charlie Simon double. Boas was flawless finishing off with 6/6 conversion attempts to cap off a comprehensive win. PNG HUNTERS 32 (Edene Gebbie 2, Charlie Simon 2, Moses Meninga tries; Ase Boas 6 goals) def NORTHS DEVILS 10 (Jack Miers, Luke Pollock tries; Herbie Farnworth goal) at Lae Rugby League Oval.